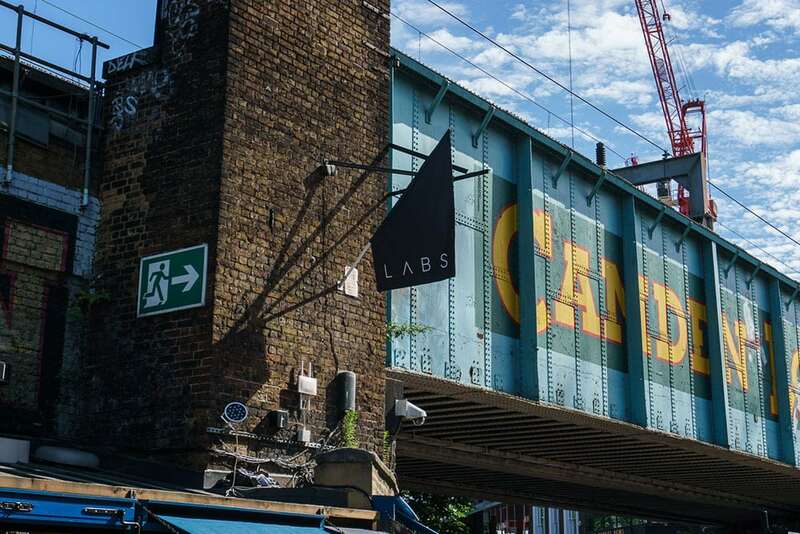 Introducing the LABS Camden campus – the shared office space that’s taking the London business world by storm. Our two buildings, Atrium and Triangle, situated a stone’s throw away from each other in the heart of the iconic Camden Market, provide a mixture of sophisticated working areas, coworking, breakout space and contemporary design elements throughout. The geographical location of each LABS building plays an integral part in the interior design; we always start by determining what’s special about the area and what kind of ‘second home’ to build for the businesses that will be based here. In addition, we think about how we can digest the physical characteristics and natural charm of the existing architecture and replicate it in the decor, furniture and atmospheric vibe. This is how our buildings differentiate from one another and the nearby Camden offices, whilst keeping to our high standards. With Camden comes an overwhelming amount of character and charm. The challenge when designing both buildings was implementing Camden’s dynamic energy into new, professional and sophisticated workplaces – maintaining a balance. “The quickly changing nature of workspace and the opportunities presented by this are interesting to us both from a product design and interior design perspective – wherever change happens designers get a chance to be relevant.” – Tom Dixon. Multi-functional space to offer workspace by day, London event space by night. At LABS, we help businesses of any size to grow, meaning our Camden office space offers a variety in terms of environment so as to match them. From young startups to large corporate companies, providing the right office space for them in their current stage is what we do, plus giving them the room to expand whenever they need it. Two crown jewels that reflect Dixon’s words include The Drum, Triangle and The Arches, Atrium. Both are communal co-working areas that encourage collaboration whilst doubling up as that all-important central London event space. These two Camden office spaces are just the beginning of the LABS campus. More coworking space and a bigger community is on its way to Camden, to help merge creativity and innovation and build London’s most vibrant place to work.